Everything a man needs to stay impeccably well groomed. Save compared to buying these items separately. Our Natural Shaving Cream is ideal for those even with sensitive skin. Alcohol, parfum and paraben free. It's packed with essential oils, saponified coconut oil and vegetable glycerine to hydrate and moisturise your skin whilst shaving. Subtly scented with the refreshing scents (essential oils) of Rosemary, Eucalyptus, Bergamot, Juniper and Pine Needle. You can expect upwards of 5 months daily shaving from a single tub. This all natural body and face soap is handmade by a Scottish artisan soap maker, exclusively for Executive Shaving. With activated charcoal and a subtle and refreshing lime & patchouli scent. 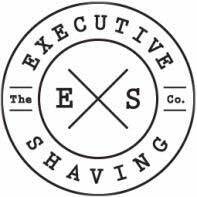 The perfect set for beginners and experienced wet shavers alike. Look good, smell good and be clean. Sodium olivate (olive), Aqua, Sodium cocoate (coconut), Sodium shea butterate, (shea butter), Sodium castorate (castor), Activated charcoal, Parfum (a blend of essential oils), Limonene, Eugenol, Citral, Linalool, Benzyl cinnamate, Cinnamal.